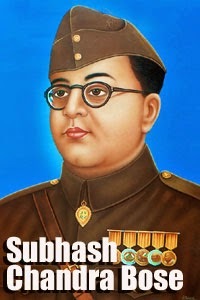 Subhash Chandra Bose was born on 23rd January, 1897, in Cuttack, Orissa (now Odisha). Popularly known as ‘Netaji’, the most prominent leader, he appeared at the time when most required for Indian freedom struggle. After Mahatma Gandhi and Pandit Jawaharlal Nehru, he is the one who deserves to claim all the credit. Founder of ‘Azad Hind Fauj’ and ‘New India Forward Block Party’ whose work was to plan and make strategies to help themselves get rid of Britishers and see a free India. Subhas Chandra Bose was born to Janaki Nath Bose, a lawyer by profession, and Prabhavati Devi, housewife with pious and religious nature. He had thirteen siblings. He was admitted to the Protestant European School like his other brothers and sisters. After studying at this school, he moved to Ravenshaw Collegiate School. Subhash Chandra Bose was generally praised by his teachers and it was said that he was a brilliant and outstanding student. He secured second position in his matriculation examination. Later he joined Scottish Church College at the University of Calcutta and attained a degree of Bachelor of Arts in philosophy in 1918. After that, he went to Fitzwilliam College, Cambridge and came back with another degree in 1919. As promised by him to his father that he would appear in Civil Services Examination, he not only appeared but secured fourth rank all over India. But, Bose refused to work as an Administrative officer as he did not want to serve Britishers. After resigning as a Civil Servant, in 1923, Subhash Chandra Bose started Swaraj newspaper spreading aggressive nationalism and later was elected as President of All India Youth Congress. His contribution towards freedom struggle led him to early imprisonment. After his release in 1927, he worked with Jawaharlal Nehru and Mahatma Gandhi as General Secretary of Indian National Congress. He proved his political knowledge and showed his mettle and rose the ladder of Congress hierarchy. Like Gandhiji, he was also jailed during Civil Disobedience movement. He was released after a year when Gandhi-Irwin pact was signed for which he protested. Soon after that he was again arrested and released after a period of almost one year. He also started mass movement for utilizing resources and got great response. Bose stayed with Indian National Congress till 1940. In 1941, he disappeared and went to Germany to sought support against Britishers. He did get support but unfortunately, Germany got defeated in Second World War and couldn’t support anymore. A news came on August 18, 1945 that Netaji was killed in an air crash. Though it is widely believed that he was still alive after the air crash not much information could be found about him.